However, in our experience, it may not work for all companies; Small companies often find it hard to factor their invoices for various reasons. The larger financial institutions have a strong preference to factor larger invoices. This way, they stand to earn more from interest and fees. Larger Financial institutions often require the entire receivables ledger of a company to be factored: i.e. all incoming invoices to be registered. This isolates companies want the flexibility to pick and choose which invoices to factor. Companies with less than 2 years will still struggle to get approval, even if they have done business with reputable companies. Track record and years in business are very important indicators for traditional financiers. For most factoring arrangements, personal guarantees from company directors are a non-negotiable requirement. This will is very unattractive for business owners who have set up private limited companies to keep their personal and businesses finances separate. For smaller companies with tighter cashflow needs and those that require cash on short notice, the long approval times and unclear criteria of traditional financiers lead to much stress and uncertainty. 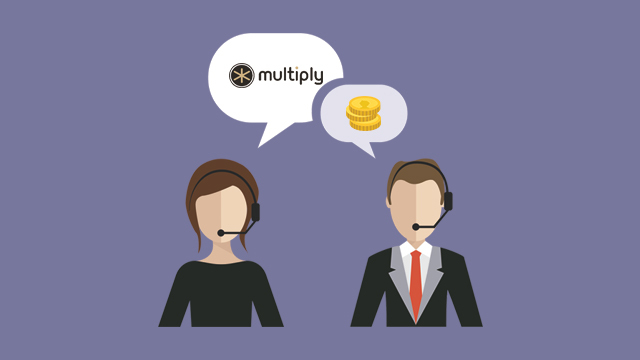 Multiply is a new service that could make factoring work for your company. You decide which invoice you would like to factor! No invoice or company is too small for us. Applications to Multiply are almost as simple as shopping online, and you will hear back from the team in less than 2 days. Best of all, if you fit our clear and transparent criteria, we will not require personal guarantees. Jonathan Chong is an alumnus of both London School of Economics and Stanford University. He spent 5 years in EDB Singapore and co-founded an Energy Startup. He is an ardent supporter and daily practitioner of Dress-Down Fridays.